We are pleased to announce the deployment of three Litter Picking Stations along the River Welland in Spalding. Working with the Spalding Riverside Forum, we raised funding through the Tesco Bags of Help scheme, and we purchased the boards from 2MinuteBeachClean. 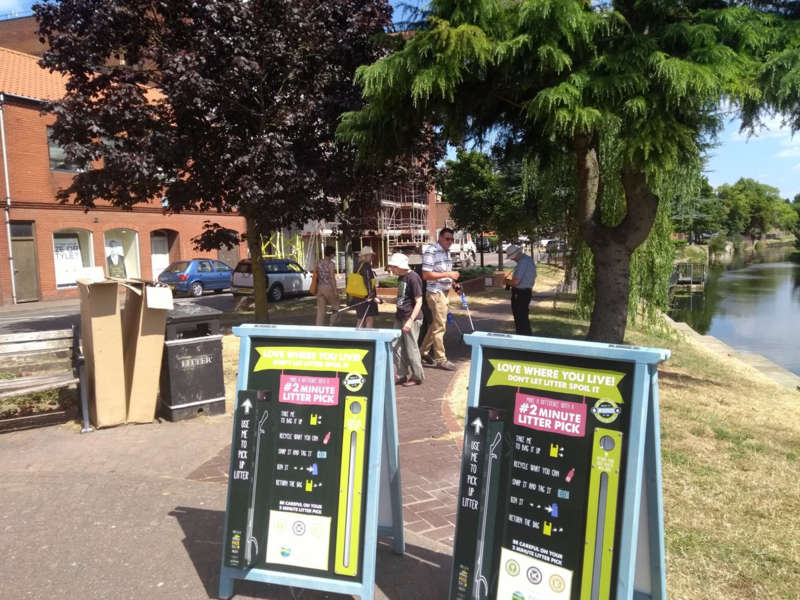 The boards come with a built in litter picker, and will hopefully encourage river walkers and local residents to help keep the riverside area free from litter. 80% of the plastic in our oceans comes from land based sources, transported there via our rivers! We want cleaner rivers for cleaner coasts and everyone can help!